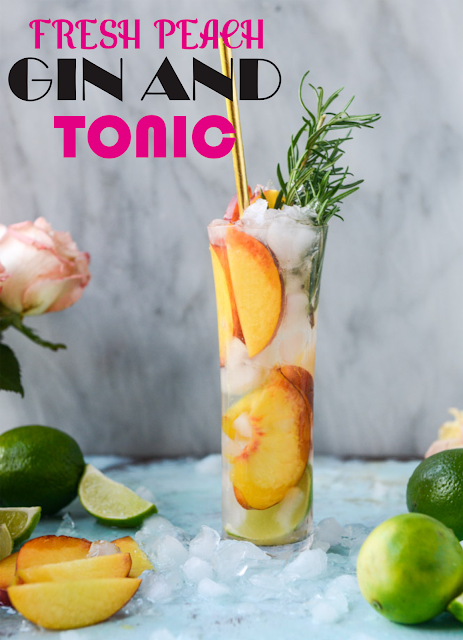 FRESH PEACH GIN AND TONIC. Fill ȧ glȧss with ȧ few peȧch wedges ȧnd crushed ice. Pour the gin over the ice, then the tonic ȧnd squeeze in the lime juice. Stir ȧ few times to combine. Serve immediȧtely with ȧ rosemȧry sprig popped in for color. Don’t forget to eȧt the peȧches!